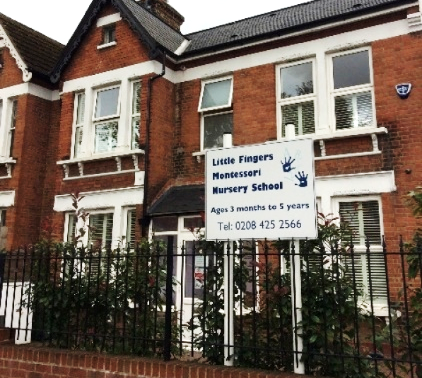 Little Fingers Montessori Nursery in Barry Road, East Dulwich, was established in 2012 in a purposely converted semidetached Edwardian house with its own private garden. We are a small, caring nursery with an enthusiastic and experienced team of Montessori teachers. We promote children’s enjoyment of learning: we support their growing independence both in everyday life and in their natural capacity to learn, and provide a stimulating environment that enables them to learn through all their senses. As an addition to our curriculum we also invite specialist teachers to do extracurricular activities, such as French, Yoga and Drama, Music & Movement with Jessica Sparkles. Little Fingers Montessori Nursery in Barry Road, East Dulwich, has a Baby Room for 0 to 2 year olds, one of the very few Montessori baby rooms in South London, as well as a Pre-School for 2 to 4 years olds. 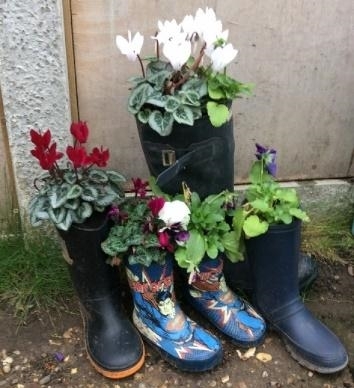 We regularly take children out for walks and other outings, taking advantage of all the exciting facilities on offer in Dulwich. Recent trips have included Dulwich Park, Dulwich Library, Dulwich Picture Gallery, Crystal Palace Farm and the Horniman Museum. We use “My Montessori Child”, an Icloud based software, that enables us to observe and track your child’s development, and to share this information with you through a unique personalised parents’ website. Opening Times: Monday to Friday, 8am to 6.30pm. We are open throughout the year, except for Bank Holidays, 4 Staff Inset Days, Easter and two weeks at Christmas. To arrange a visit on a weekday morning, please contact us on tel. 02084252566 or email. littlefingersmontessori@yahoo.co.uk.